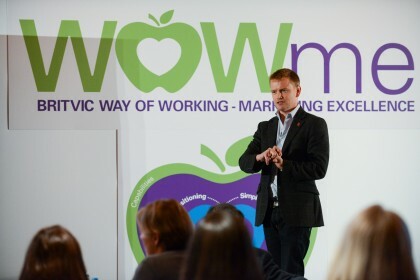 Conference video filming and editing for Britvic WOWme Way of Marketing. Britvic soft drinks chose Sopwell house in St Albans as their destination to launch their conference on a new way of marketing. We produced not only the pre-conference videos where we undertook filming of key Britvic executives delivering messages via teleprompter, but also filmed the main conference in full and supplied a highlights video of the event which was edited onsite and played for delegates to enjoy on the final day. AG Studios has secured a preferred supplier status to Britvic. View the highlights video below.